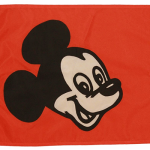 November 21st, 2015 is the best day of the year for collectors of all things Disney. ICollector.com will be hosting online bidding for Van Eaton Galleries and their exceptional collection that has been carefully prepared to this auction. 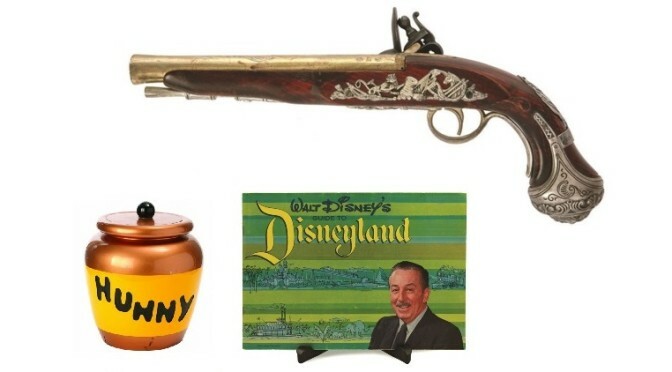 This is the most magical collection of Disney ever to be offered to the public. 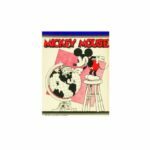 It includes rare theme park memorabilia from the 1950’s to 2000’s, original concept art, historical documents and theme park ride cars. The live auction will be taking place from Van Eaton Galleries in Sherman Oaks, California. Over 800 pieces will be up for grabs and each and every one is worthy of attention. Lot 3 sets the stage for the sale with a highly sought after piece that will have energetic bidding activity. This is a check signed by Walt Disney that is beautifully framed and presented with a color photo of Walt Disney at Disneyland. The check was made out to himself and features a bold ballpoint signature. The entire frame measures 24” x 26” and the check is in very good condition. This carries an estimate of $3000 to $3500. 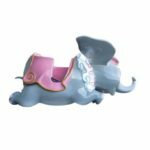 This auction includes original ride vehicles from Disneyland. The most outstanding one available are vehicles from the iconic and original PeopleMover ride. The two ride vehicles showcased in this auction are among only 13 still known to exist. This particular one comes from a private collection from Mr Kevin Doherty. None of the other 11 units have their original lower drive chassis which holds the wheels, suspension, and the initial open and close drive mechanisms. This pair however, has a recreated lower drive chassis that was painstakingly designed, tested, and fabricated over the course of two years. It was created using the original blueprints and help from the original designer of the PeopleMover, Bob Gurr. This is a one of a kind buy that will not come around again. A fully detailed description, photos, and a video, are available in the online catalog. Bidding is opening at $200,000 and will attract serious attention. Another important ride vehicle in this sale is a Space Mountain vehicle located at Lot 446. This particular car is an original from the opening year of the attraction in 1977. The vehicle is in its sleek 1970’s rocket design and has been repaired and restored to its original splendor and now makes a fun and unique home furnishing. This also comes from the Ken Doherty collection and has the same care and attention as the PeopleMover ride vehicles. Opening bidding here is at $50000 and there are also several photos and a very detailed description available online. 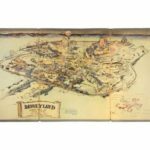 This auction has pieces such as original hand sculptures from the Haunted Mansion, rare examples of the first Disneyland ticket book, costumes, flags, documents, original artworks, and pieces from many of the most iconic rides ever to be designed for Disneyland. The entire catalog can be browsed online at anytime through iCollector.com to see all the photos, descriptions, and estimates. For those in the local area, there is public exhibition of the entire auction open from October 24th until November 20th. The auction will commence live at 11AM Pacific time with a live broadcast, and anyone not able to bid live is encouraged to leave their best bids in the iCollector.com system at anytime before auction day.